Jonathan Stein is an attorney with nearly 25 years of prosecutorial and private practice experience who leverages his in-depth knowledge of consumer, derivative, commercial litigation and legal notice trends to inform GCG’s administration process and achieve efficient, streamlined and cost-effective results for our clients. Jon began his legal career as a prosecutor in the State Attorney’s Office for the 17th Judicial Circuit of Florida, where he handled numerous jury trials. Using his skills as a criminal prosecutor, he transitioned into defending against insurance fraud, and spent several years handling insurance and commercial litigation matters, including at one of Florida’s largest law firms. Jon worked closely with insurance companies’ Special Investigative Units (SIUs) where he used his investigative skills to effectively combat fraudulent insurance claims. 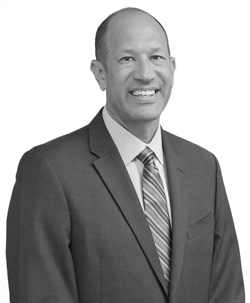 Over the past two decades, Jon practiced law at several high-profile law firms including Robbins Geller Rudman & Dowd, Saxena White, and his own class action firm, where he represented plaintiff consumers and shareholders in complex litigation, including class action and derivative suits valued in the hundreds of millions. Mr. Stein established long-standing relationships with counsel on both the plaintiff and defense sides across the United States, developing a solid reputation for his legal acumen and skills. Mr. Stein’s extensive experience litigating consumer fraud cases includes several of the largest food-related consumer litigation settlements involving allegations of unfair or misleading marketing practices. For these cases and others, and as a client of GCG, Jon employed his extensive knowledge of sophisticated and tailored media strategies to maximize the reach and effectiveness of the legal notice component of settlement administration. Mr. Stein has been a frequent speaker, contributor and moderator at several industry conference and CLE sessions.